rolled oats or a crushed, unsweetened whole grain cereal as breading for baked chicken, fish, veal cutlets, or eggplant parmesan. …an unsweetened, whole grain ready-to-eat cereal as croutons in salad or in place of crackers with soup. Snack on ready-to-eat, whole grain cereals such as toasted oat cereal. Add whole-grain flour or oatmeal when making cookies or other baked treats. 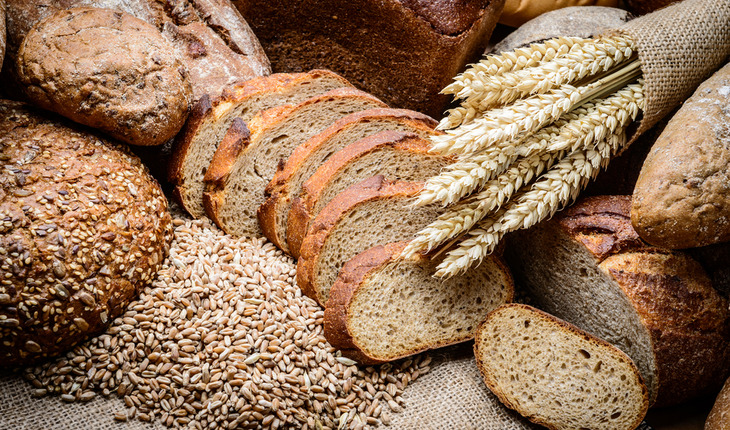 Choose foods that name one of the following whole-grain ingredients first on the label’s ingredient list: brown rice; buckwheat; bulgur; millet; oatmeal; popcorn; quinoa; rolled oats; whole-grain barley; whole-grain corn; whole-grain sorghum; whole-grain triticale; whole oats; whole rye; whole wheat; wild rice. For more on nutrition issues from ChooseMyPlate, click here.